Nihonshu is Japan’s traditional alcoholic beverage. Together with sushi, it is also Japan’s best-known enogastronomic product abroad. A term lost in translation, “Nihonshu” is none other than what Westerners call “sake”. While the latter means “alcohol” in general, the former translates “Japanese alcoholic beverage”. Nowadays, over 700 different kinds of sake are being made with several production methods, however using the same two fundamental ingredients: rice and water. Around since the eight century, sake —originally drank to drive away evil spirits— is to Japanese people what wine is for Italians: drank on a daily basis and paired up with different kinds of food, the alcoholic drink can be found in any Japanese household. In recent times though, the younger generation started to regard sake as “old-fashioned”, preferring more international drinks. If on one hand Japan fell out of love with its national alcoholic drink, on the other, the rest of the world started to get butterflies for it. While the number of sakagura —sake’s production houses— dramatically dropped in the past 30 years, sake exports doubled in the last decade with the US and South Korea being top consumers. In Europe, in contrast with the demands of other major countries like the UK and Germany, the Italian sake market is still quite small. 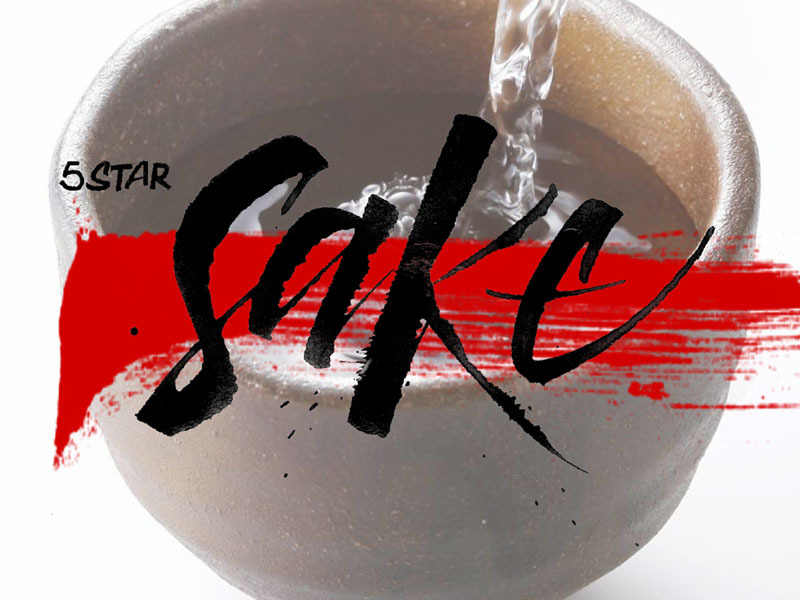 Moreover, differently from the consumption of culinary products like sushi and soy sauce, sake started only very recently to appeal to Italian palates. In the wake of this increasing approval, in 2017 Vinitaly set up a specific “sake area” at their VinInternational pavillion. With producers from at least 10 different Japanese prefectures and importers like Sake Company, Veronafiere introduced Japan’s national drink to wine aficionados. Following this path, Vinitaly International will also open its doors to sake in 2018. On the last day of 5StarWines —wine tasting of products from all over the world— renowned sake connoisseurs will blindly evaluate different kinds of the “Japanese rice wine”. Marco Massarotto a —pioneer of sake in Italy who has been named Sake Samurai from the JSS (Japan Sake Brewers association)— is the founder and president of NPO La Via del Sake and organiser of Milano Sake Festival. Honoured to be Chairman at 5StarSake Massarotto comments: “Sake is a complex and much varied product with a rich history. Education to Sake and the exquisite selection of products presented at 5StarSake is therefore essential to its success in the country. With this special selection I am sure we’ll manage to make the best Sake gain visibility in Italy as well as help Italian consumers to explore this new world.” Founder of Sake Company Lorenzo Ferraboschi lived in Tokyo for 10 years, he is also the Italian manager of the Sake Sommelier Association. All contestants —which can enrol until the 30th of March— will receive an official certificate of participation. Participants reaching the minimum evaluation score will also be published and get a special boost on all of 5StarWines’ communication channels. The list of selected sake will work as a compendium for both the industry and professionals to get to know and select products present in Italy. The aim is to offer an independent quality assessment to guide professionals and consumers in their sake choice and experience. Sake who has reached a higher evaluation score will also be given a “Special Mention” and receive a special mention certificate on top of all the above. Encouraged by the growing number of Japanese restaurants in the country, the Italian interest in sake it’s now at its peak. How is sake produced? Which is the best product? How do you consume it? Can one pair it up with Italian traditional dishes? These are only some of the questions the Italian audience is starting to ask. Serving as a point of contact between the Italian request and the Japanese curiosity for Italian market, Vinitaly International will answer those questions at 5StarSake on the 13th of April. The grand Vinitaly 2018 will be held from April 15th to the 18th next year. Every year, Vinitaly counts more than 4,000 exhibitors on a 100,000+ square meter area and 130,000 visitors from over 140 different countries with more than 30,000 top international buyers. The premier event to Vinitaly, OperaWine (www.operawine.it) “Finest Italian Wines: 100 Great Producers,” which will be held on the 14th of April, one day prior to Vinitaly will unite international wine professionals in the heart of Verona, offering them the unique opportunity to discover and taste the wines of the 100 Best Italian Producers, as selected by Wine Spectator. Since 1998 Vinitaly International travels to several countries such as Russia, China, USA and Hong Kong thanks to its strategic arm abroad, Vinitaly International. In February 2014 Vinitaly International launched an educational project, the Vinitaly International Academy (VIA) with the aim of divulging and broadcasting the excellence and diversity of Italian wine around the globe. VIA this year launched the third edition of its Certification Course and today counts 122 Italian Wine Ambassadors and 9 Italian Wine Experts.